The Fishing For Frankie Memorial Tournament took place last weekend and drew 72 fishermen and a crowd of about 250 people. AVONDALE – The 3rd Annual Fishing For Frankie Memorial Bass Tournament will take place on Aug. 27 at Pier 90. 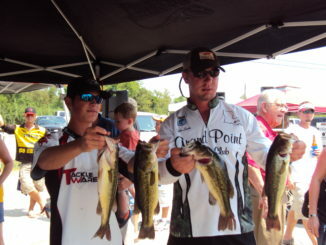 Entry is $100 for two-person teams and $10 for Big Bass option. Tournament check-in is at 4:30 a.m. This year’s event will benefit Michael Diaz Jr., who received a double lung transplant this year. For more information, email fishingforfrankie@gmail.com. AVONDALE – The 2nd Annual Fishing for Frankie Bass Fishing Tournament is now looking for sponsors and is open for registration. The event is hosted by the Throw Me A Cure Relay Team, South Louisiana Trail and family and friends of Frankie. 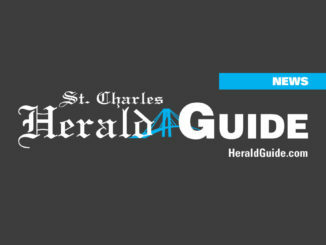 The event raises money for Frankie Champagne Jr., a native of Edgard and resident of Luling who was diagnosed with lung cancer in 2007 and has been unable to work since June 2009 due to the effects of the cancer treatment. The tournament will be on August 28 at the Pier 90 boat launch, 10093 Hwy. 90 in Avondale. Check-in will be at 4:30 a.m. with weigh-in at noon. The entry fees are $100 per team and $10 Big Bass (optional). Entry forms are available at Outcast Marine, First National Bank USA, Majoria’s, Roussel’s Hunting and Fishing, Outdoor Express and Pier 90. The tournament is also looking for sponsors to donate money or door prizes. For more information on entry or sponsorship, contact Audrey Raziano at (985)703-0135 or (985)785-8411. 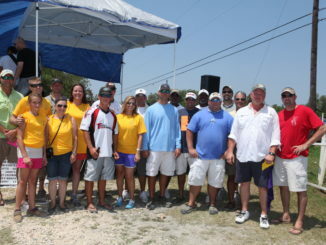 AVONDALE – A benefit fishing tournament for Luling resident Frankie Champange, who is battling lung cancer, will be held on Aug. 8 at Pier 90 located at 10093 Highway 90 in Avondale. 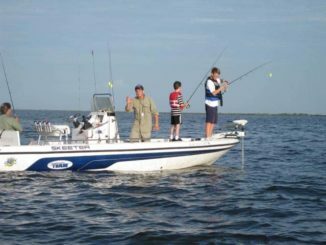 Entry fees are $100 per boat – 2 persons per boat. There will be an optional $10 big bass pot that will pay back 100 percent. Check in is from 4:30 a.m. to 5:30 a.m. Weigh in is at noon. Registration is continuous through the day of the tournament. The payout will be 50 percent of the profit made, the other 50 percent will be donated to the Champagne family. The number of entries will determine the number of pay-out places. All entries will also be entered to win door prizes on the day of the tournament. Entry forms are available at Outcast Marine in Des Allemands, First National Bank in Boutte and Norco, Majoria’s in Boutte, Roussel’s Hunting and Fishing in LaPlace, Outdoor Express in Paradis and at Pier 90. For more information, call Audrey Raziano at 985-758-8411 or 985-703-0135 or araziano@aol.com; April Sellers at 504-756-7020 or prilay@cox.net; or George – Harbor Master – at 985-665-7839.